Enjoy the top 10 famous quotes, sayings and quotations by Amanda Stevens. Rosehill was shady and beautiful, the most serene place I could imagine. It had been closed to the public for years, and sometimes as I wandered alone - and often lonely - through the lush fern beds and long curtains of silvery moss, I pretended the crumbling angels were wood nymphs and fairies and I their ruler, queen of my own graveyard kingdom. Let me enjoy my fan-wanking. Let me arrange the story to meet my own personal needs. Want to see more pictures of Amanda Stevens quotes? 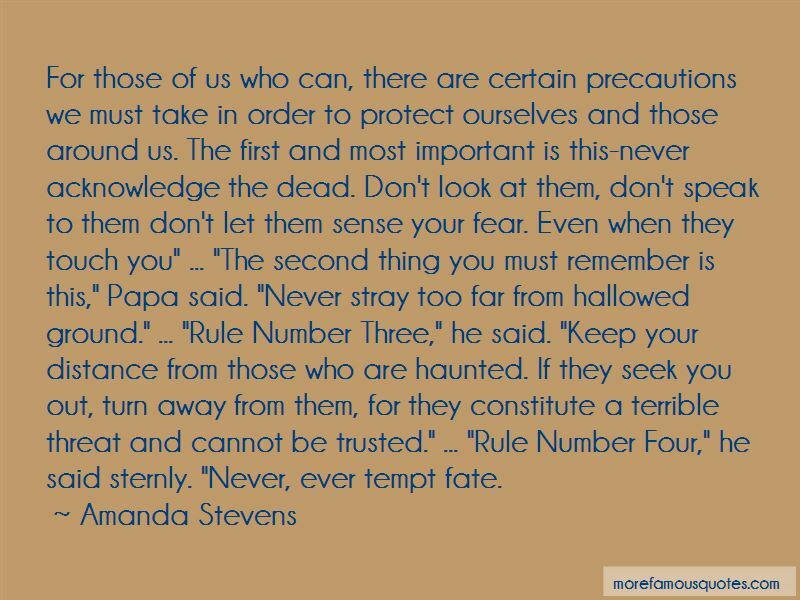 Click on image of Amanda Stevens quotes to view full size.